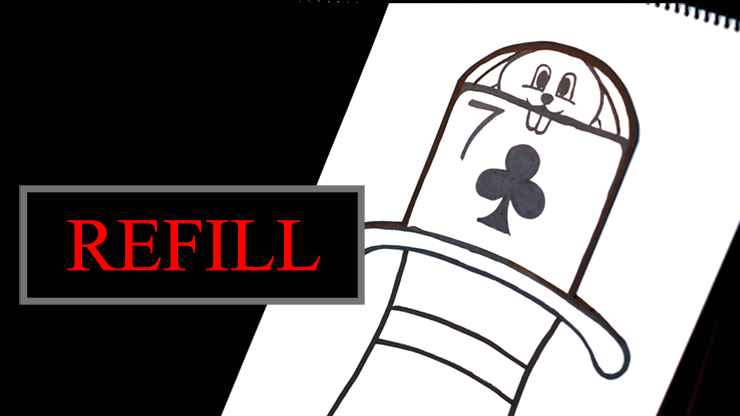 Here are refills for you to continue amazing your audiences! The card that first rises from the deck on the sketchpad does NOT match the audience's selection. But then, the card magically transforms into the audience's selection!